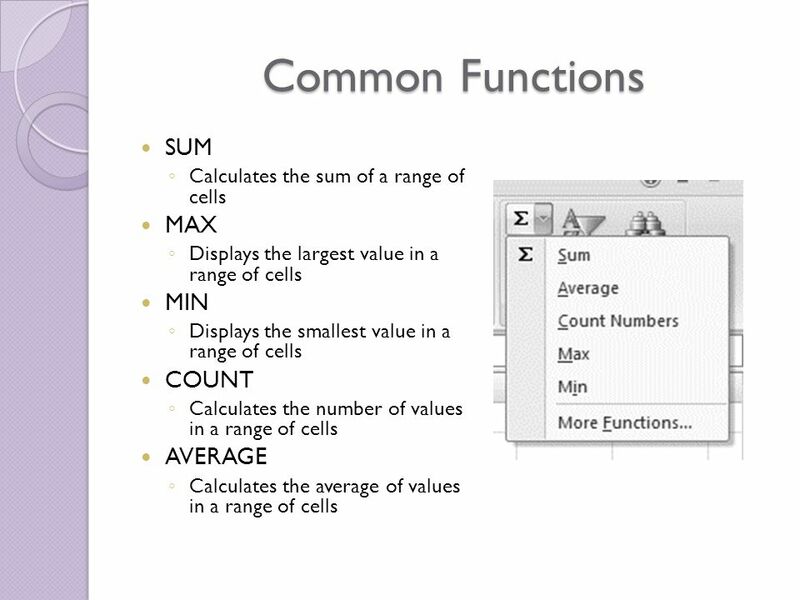 15 Showing Formulas Show formulas using ◦ Ctrl + ` (the ` is found above the Tab key) Fit on 1 page Formatting will be lost when showing formulas. 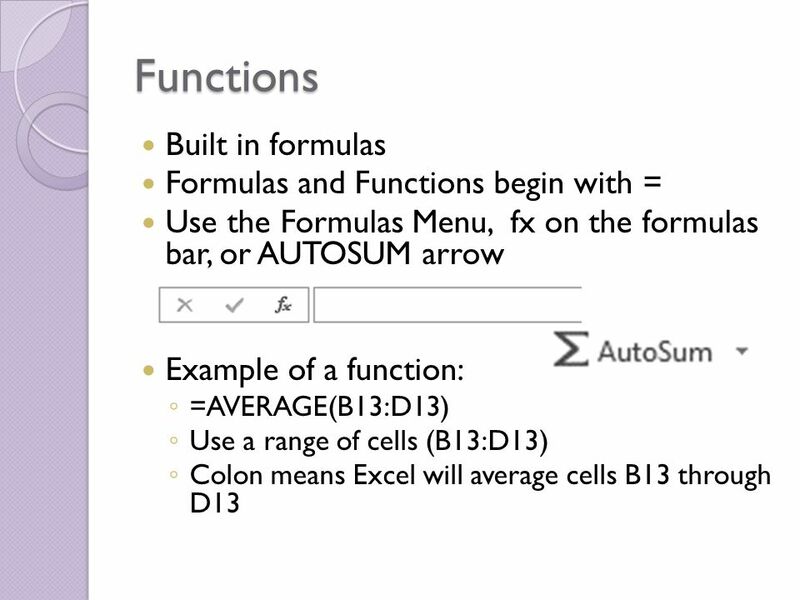 Download ppt "FORMULAS & FUNCTIONS EXCEL. 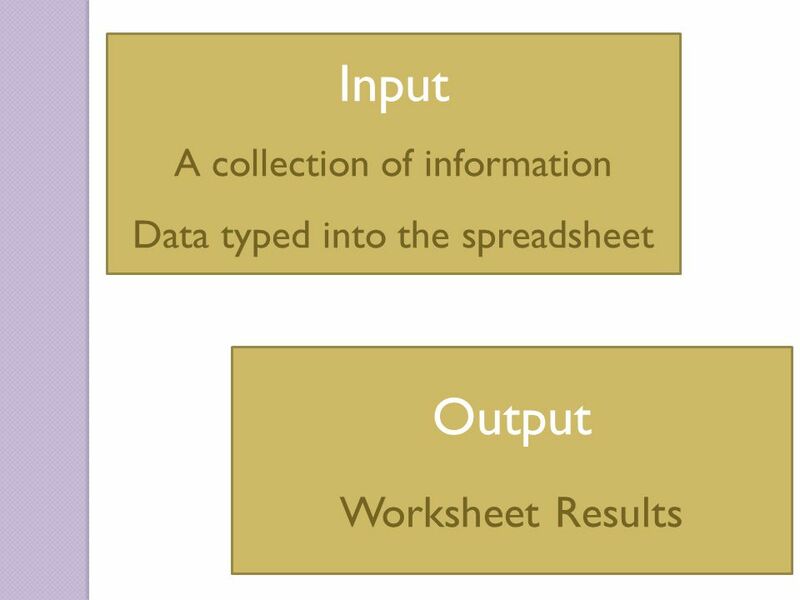 Input A collection of information Data typed into the spreadsheet Output Worksheet Results." 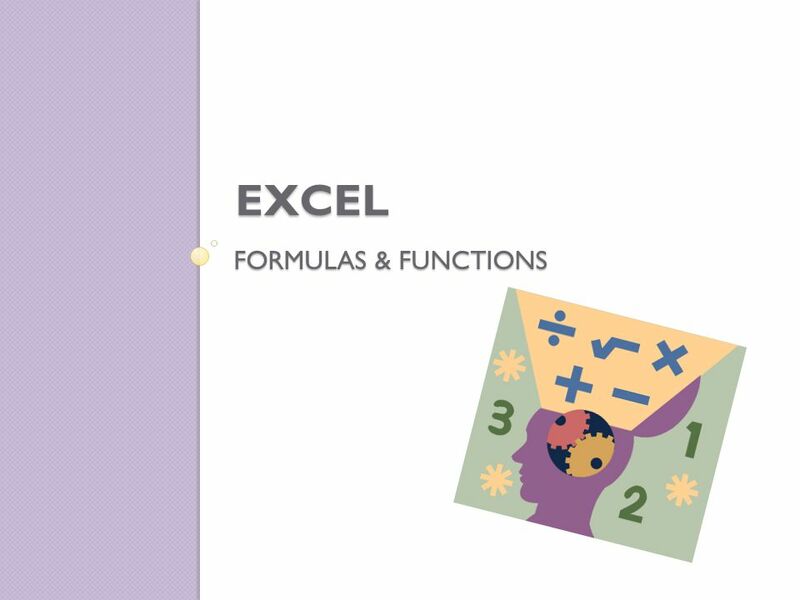 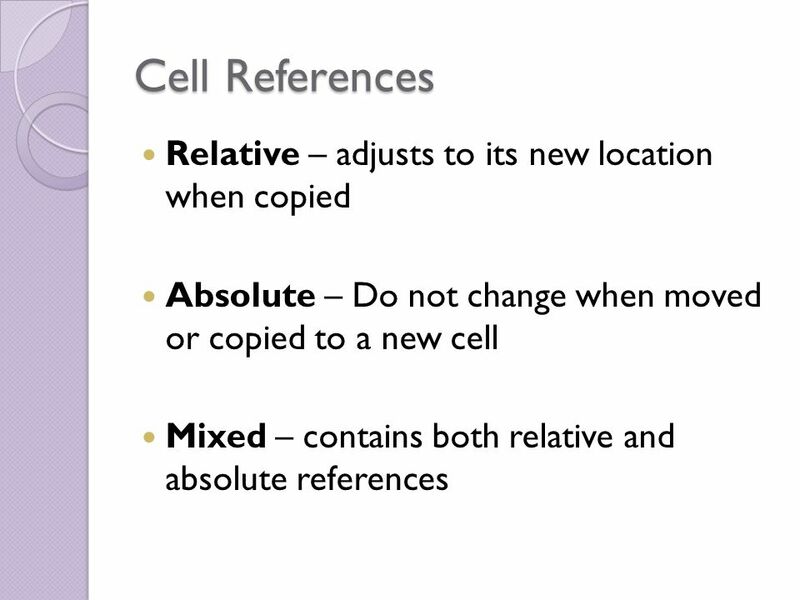 Basics of Excel Please sit in the back if you are inexperienced with Excel—Heather will be there to help. 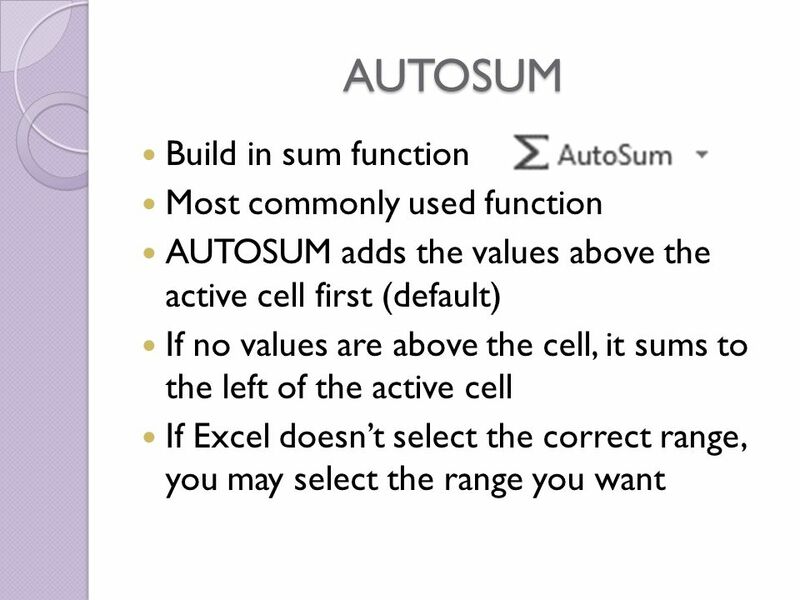 Spreadsheet software 1. 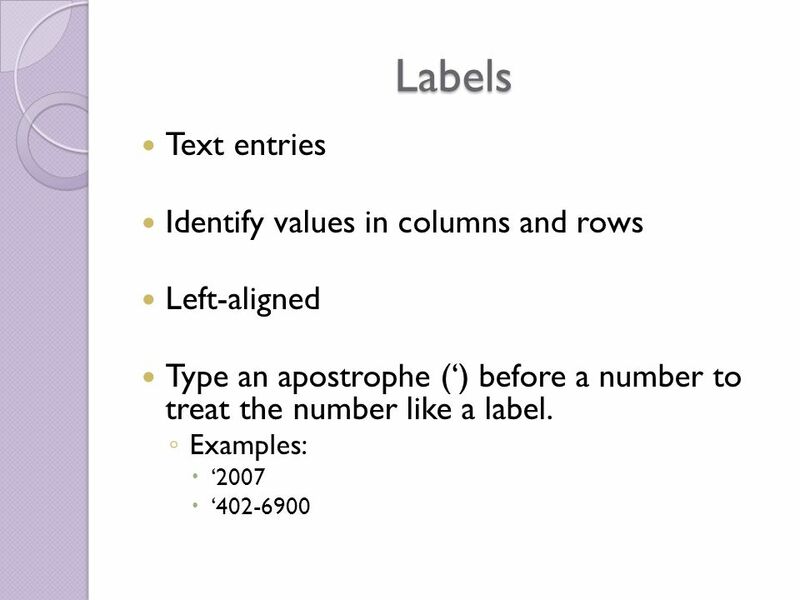 Spreadsheets 2 Spreadsheet software Components of spreadsheets Labels - are used for titles, headings, names, and for identifying. 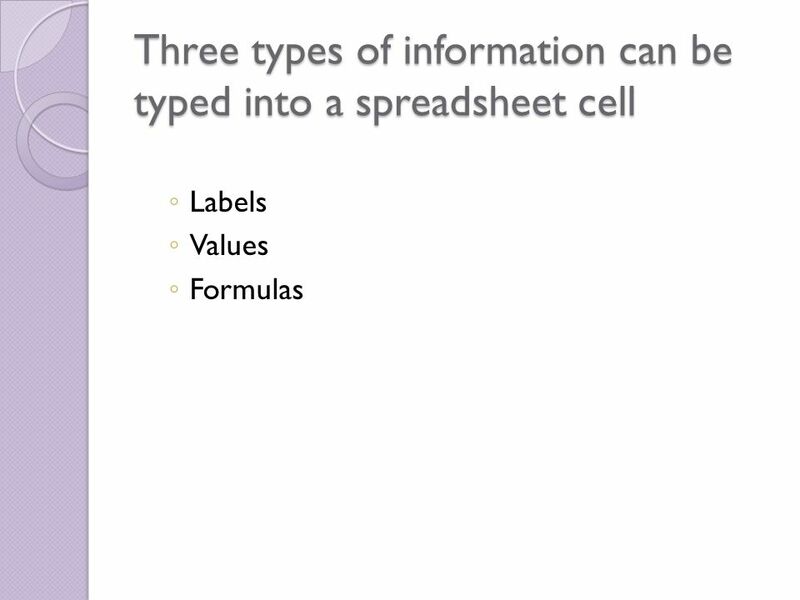 Spreadsheets. 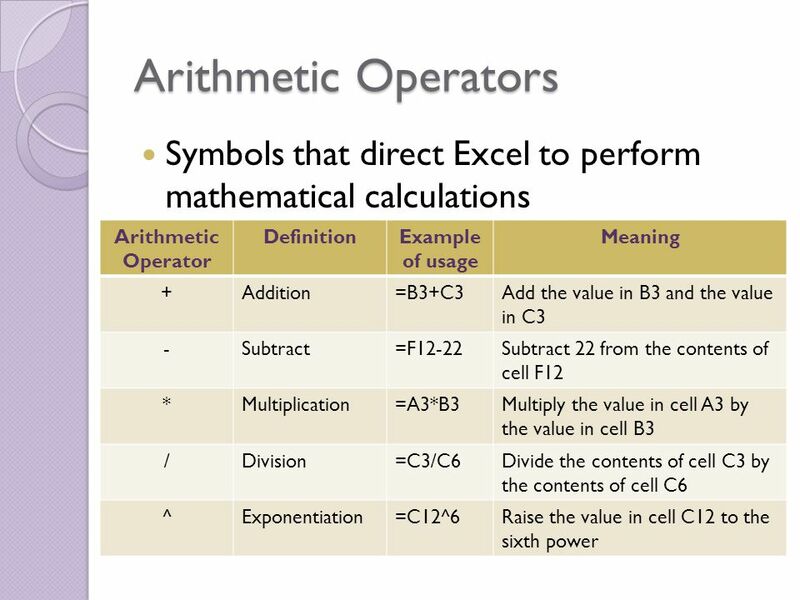 Software program capable of performing many calculations, functions, graphs Arranged in rows (by number) and columns (letters) Intersection. 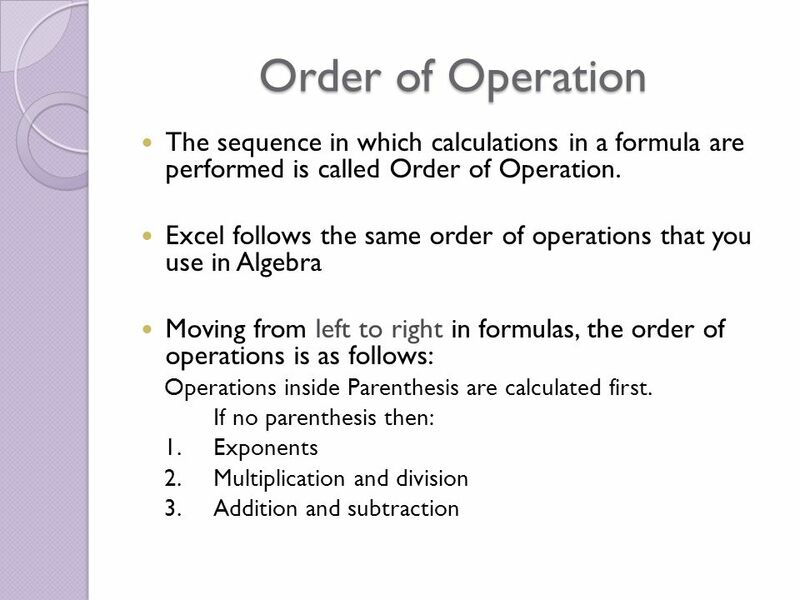 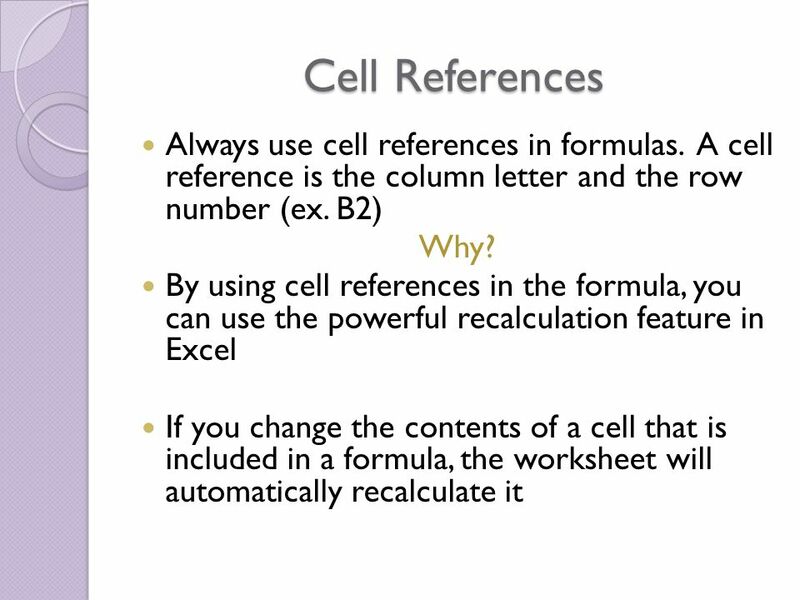 Pasewark & Pasewark 1 Excel Lesson 4 Entering Worksheet Formulas Microsoft Office 2007: Introductory. 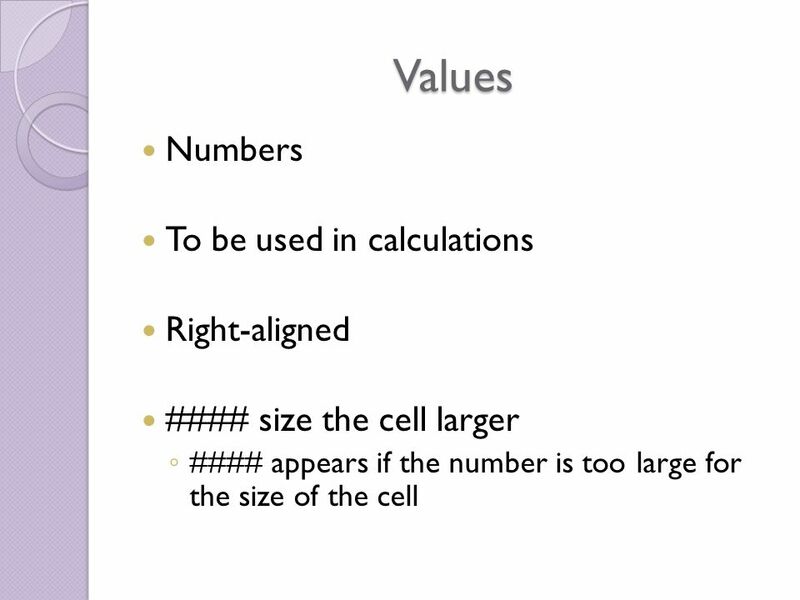 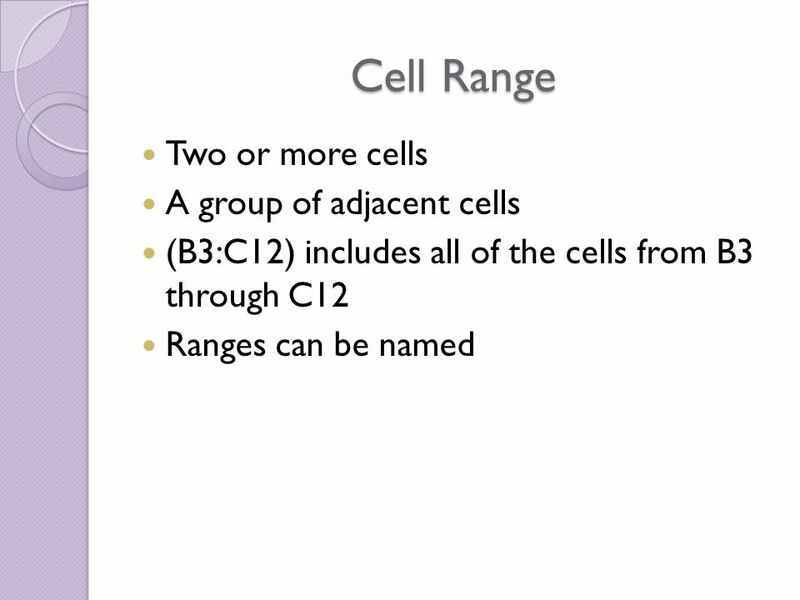 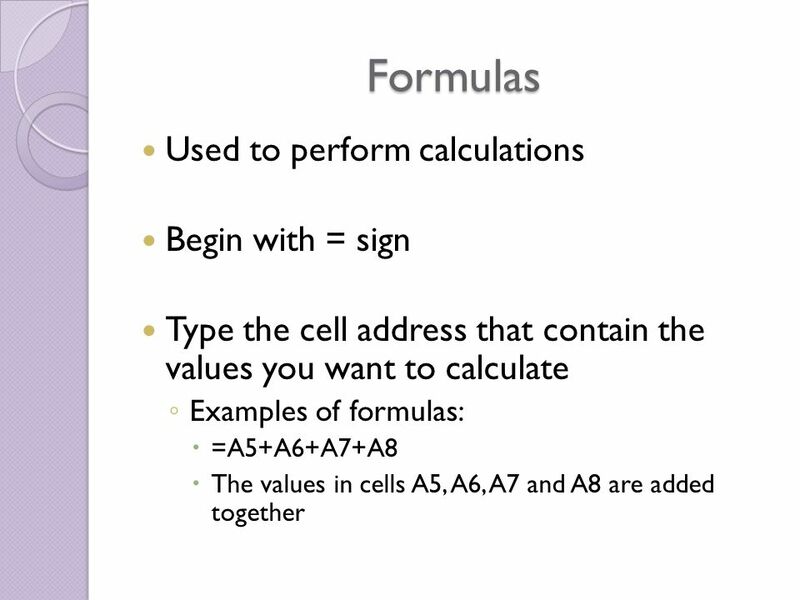 Using Basic Formulas and Functions Lesson 8A. 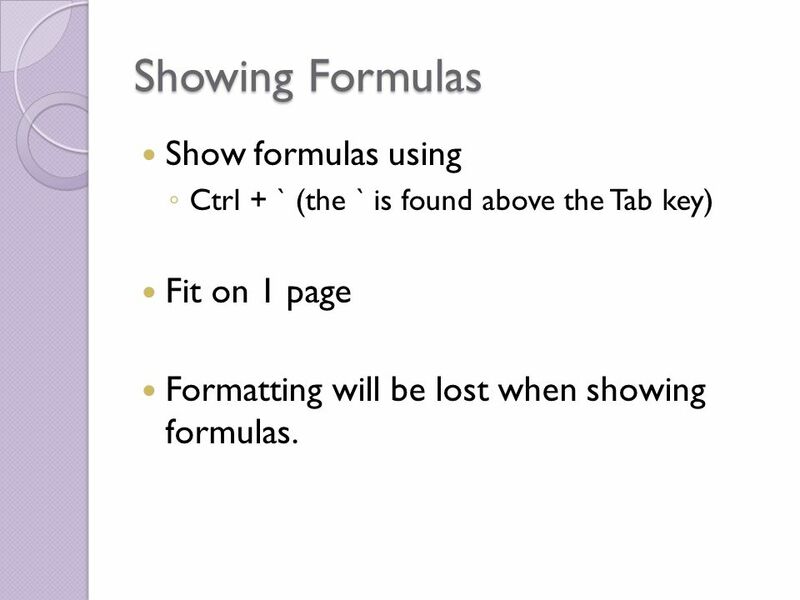 Formulas tab.